Incyte’s team (from left): Andrew Combs, Dilip Modi, Joe Glenn, Brent Douty, Padmaja Polam, Brian Wayland, Rick Sparks, Wenyu Zhu, and Eddy Yue. Hervé Hoppenot joined Incyte in 2014 as President and Chief Executive Officer, and was appointed Chairman of the Board of Directors in 2015. Prior to joining Incyte, Mr. Hoppenot was the President of Novartis Oncology, where he was responsible for translational medicine, development, approval, and commercialization, which included $11 billion in global sales, the largest oncology pipeline in the industry, and 8000 employees in 50 countries. Mr. Hoppenot joined Novartis in 2003, and, in addition to his role as President, served as Chief Commercial Officer, Head of Global Product Strategy & Scientific Development, and Senior Vice President, Head of Global Marketing. He started his career in 1983 with Rhone Poulenc, later known as Aventis, where he served in several senior roles of increasing responsibility, including Vice President of Oncology and Head of the US Oncology business unit. Mr. Hoppenot holds a diploma from ESSEC Business School. Barry Flannelly joined Incyte as Executive Vice President, Business Development and Strategic Planning, in August 2014 and was appointed General Manager US in June 2015. Dr Flannelly has been working in oncology since 1987, and began his career in the pharmaceutical and biotech industry at Rhone-Poulenc Rorer, which later became Sanofi-Aventis. He has since had roles of increasing responsibility at Novartis Pharmaceuticals Corporation, Abraxis Oncology, Onyx Pharmaceuticals Inc., and Nektar Therapeutics. During his career, he has held positions in medical affairs, strategic planning, commercial operations, including head of sales and head of marketing, and business development. He earned his Doctor of Pharmacy from the University of Maryland School of Pharmacy, his Master in Business Administration from the University of Baltimore, and his Bachelor of Science in Pharmacy from Massachusetts College of Pharmacy. David Gryska joined Incyte as Executive Vice President and Chief Financial Officer in October 2014 and brings more than 30 years of finance experience to the Company. Before joining Incyte, Mr. Gryska served as Chief Financial Officer at both Celgene Corporation and Scios, Inc. From 1982 to 1993, Mr. Gryska worked at Ernst & Young, LLP. Mr Grsyka is a CPA and earned his MBA from Golden Gate University. Reid M. Huber joined Incyte as a member of the founding scientific team in January 2002 and has more than 17 years’ experience in the pharmaceutical/biotech industry. For the past 13 years, Dr. Huber has held roles of increasing responsibility across multiple therapeutic areas in both Drug Discovery and Clinical Development at Incyte. In 2011, Dr. Huber assumed responsibility for the company’s research activities as Senior Vice President, Discovery Biology. Before joining Incyte, Dr. Huber held scientific research positions at DuPont and Bristol-Myers Squibb Company from 1998 to 2002. Dr. Huber received his PhD in molecular genetics from the Washington University Medical School and held predoctoral and postdoctoral fellowships at the National Institutes of Health. 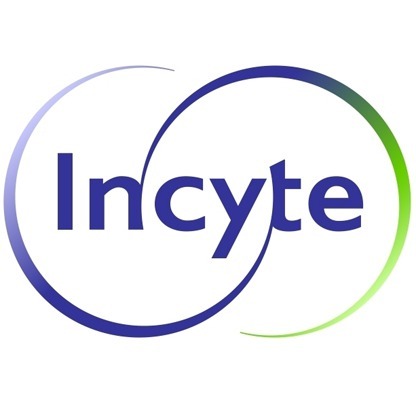 Richard Levy joined Incyte as Senior Vice President, Drug Development, in August 2003. Dr. Levy has more than 20 years of experience in the pharmaceutical and biotechnology sectors through his prior positions at Celgene Corporation, DuPont and Novartis Pharmaceuticals Corporation. Dr. Levy has extensive clinical research, regulatory, and product development skills and has worked in multiple therapeutic areas, including HIV, cancer and inflammation. Prior to joining Incyte, Dr. Levy served as Vice President, Biologic Therapies at Celgene Corporation, where he was responsible for clinical development and regulatory affairs for the Cellular Therapeutics Division. Before Celgene Corporation, from 1997 to 2002, he was with DuPont first as Vice President of Regulatory Affairs and Pharmacovigilence and then as Vice President, Medical and Commercial Strategy. Dr. Levy received his MD from the University of Pennsylvania School of Medicine. Eric Siegel joined Incyte as the Chief Compliance Officer in October 2010 and became Executive Vice President and General Counsel in August 2011. Before joining Incyte, from April 2009 to October 2011, he was Chief Compliance Officer at EMD Serono, a privately held biotechnology company. From 2007 to 2009 he served as General Counsel for Solstice Neurosciences, also a privately held biotechnology company. He was Vice President, Deputy General Counsel and Chief Compliance Officer at Cephalon from 2004 to 2007. Mr. Siegel holds a B.A. 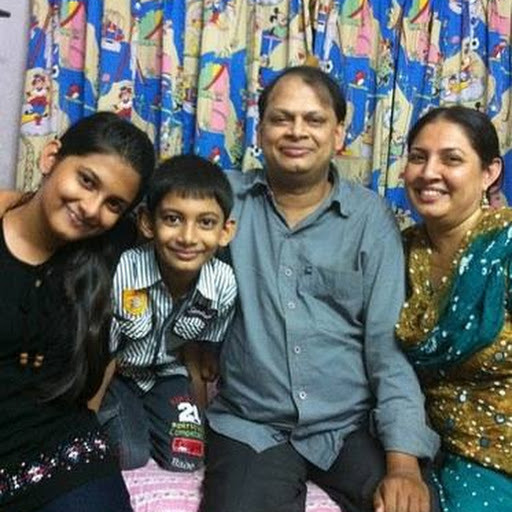 from Franklin and Marshall College, his M.B.A. from Temple University and his J.D. from the University of Pennsylvania. Steven Stein joined Incyte as Senior Vice President and Chief Medical Officer in March 2015, and has over 10 years of experience in clinical development and regulatory interactions. Dr. Stein joined Incyte from Novartis, where he most recently served as Senior Vice President, U.S. Clinical Development & Medical Affairs at Novartis Oncology U.S. Dr. Stein previously worked at GlaxoSmithKline as Vice President, Global Oncology, Clinical Development and also as Head of Medicines Development for Hematology and Supportive Care. Steven earned his M.D. from the University of Witwatersrand in Johannesburg, South Africa. Paula Swain joined Incyte in January 2002 and serves as Executive Vice President of Human Resources. Prior to joining the company, Ms. Swain spent nearly 10 years with DuPont Pharmaceuticals Company (acquired by Bristol-Myers Squibb Company in 2001) where she served as Vice President and Senior Vice President of Human Resources. She has also held human resource planning and employee relations positions with Chase Manhattan Bank, Marine Midland Bank and Delaware Trust Company. Ms. Swain received her B.A. in psychology from Rockhurst College and graduated from the strategic human resources planning program at Harvard Business School. Wenqing Yao joined Incyte in February 2002 as Director, Chemistry. Dr. Yao has over 20 years of experience in medicinal chemistry. For the past nine years, Dr. Yao has held roles of increasing responsibility at Incyte, most recently as Senior Vice President, Discovery Chemistry. Prior to joining Incyte, Dr. Yao held scientific research positions with DuPont Pharmaceuticals and Bristol-Myers Squibb Company from 1996 to 2002. Dr. Yao received his B.S. in chemistry from Xuzhou Normal University, his M.S. in organic chemistry from NanKai University and his Ph.D. in organic/medicinal chemistry from the University of Pennsylvania.